I am the author of a number of books and papers dealing with my philosophy of dynamic development. This is the fruit of a life long study of Herman Dooyeweerd's and Dirk Vollenhoven's Christian philosophy of the cosmonomic idea. 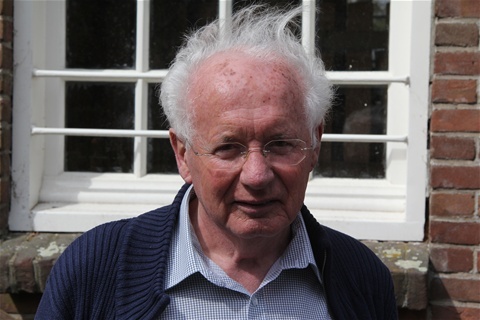 Born 1937, I studied physics and mathematics at the University of Leiden before I became a research fellow at the Radboud University, Nijmegen, earning my PhD in experimental physics in 1967. When lecturing physics, philosophy of science and history of physics at the institute for teacher training of the Hogeschool Utrecht, I was involved as project manager in several local and national projects. Since my early retirement in 1998 I am a full-time philosopher. On this site, which I started November 2015, you will find the text of several books and papers written since 1980: For a complete survey of my philosophical publications since 1966, see 'Autobiography'. Time and again (1980) was my first book. I revised it in 2016.. Theory and experiment, Philosophy of science in a historical context (2016) is the epistemological and historical counterpart of Time and again. It is a revised version of Theories at work, On the structure and function of theories in science, in particular during the Copernican revolution (1987). Mathematical foundations of quantum physics (2014) discusses the natural relation frames and characters. Chronos & Clio, Time in history (2012) is the translation of Chronos & Clio, De tijd in de geschiedenis (2011). It discusses the relation of the concepts of time and history in the perspective of the philosophy of dynamic development. The open future, Contours of a Christian philosophy of dynamic development (2016, revised 2017) is a short and informal essay, serving as a concise introduction. Nature and freedom, Philosophy of nature, Natural theology, Enlightenment and Romanticism (2019) is a historical and critical treatise. Studies in the philosophy of evolution and history is a collection of published papers written between 1986 and 2018. Essays on normative principles and characters is a collection of papers published between 2003 and 2014. Encyclopaedia of relations and characters, their evolution and history (2018, revised 2019) is an overview of the philosophy.of dynamic development. Encyclopaedia I is concerned with natural relations and characters, Encyclopaedia II with normative ones. Several lemmas in this encyclopaedia are copied from other books and papers on this site. The philosophy of dynamic development is intended as a twenty-first century update of Herman Dooyeweerd's and Dirk Vollenhoven's philosophy of the cosmonomic idea. The differences between the two are summarized in The open future and discussed in much more detail in Encyclopaedia of relations and characters, their evolution and history. Because each page of this website is more or less self-contained, several texts or text fragments appear on more than one page. All these texts are also available on PDF, free of charge.